When you have kids, life tends to center around them, what they like and what they do. Which can be amazing…and at times, exhausting! 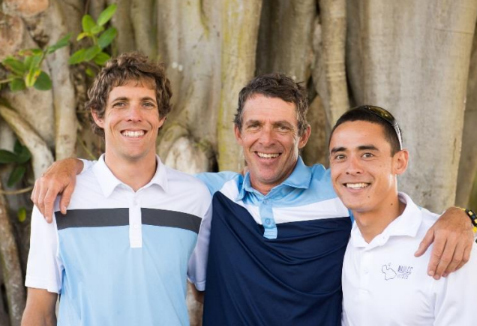 Maui Country Club in Spreckelsville provides plenty of opportunities to keep family in focus, like playing together at the pool, bouncing around a tennis ball or taking part in one of the many social events (like upcoming Easter festivities). But as parents and caregivers know, getting a break is important in life too. 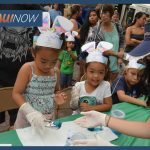 So the club also offers activities to keep keiki involved, active and engaged while grown-ups take time for themselves, whether for work or play. That includes access to Baby Beach through a private gate, parking in the club lot, a diversity of food at the restaurant, a pool with lounge chairs and shaded seating, multiple showers (with warm water), a tree fort play area, tennis courts, a golf course and a yoga studio. In fact, Maui Country Club offers yoga classes to both members and non-members, and has just started a kids’ yoga class. 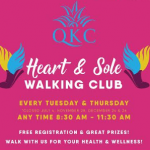 The club has also partnered with Monkeypod Art & Creative Studio for pop-up classes and art-based play from 8:15 a.m. to noon on Tuesdays, Wednesdays and Thursdays (with plans to expand days/hours). Parents drop off their children in a sweet, secure outdoor space on club grounds, where kids can enjoy art classes at 9 and 10:30 a.m. It costs $10/hour for members and $15/hour non-club members, for up to two hours per day. “Go for a walk, have some coffee, meet up with friends, get a little life in for them while their kids are doing something educational, fun and healthy,” says Monkeypod Art & Creative Studio co-owner Kendra Bitzig, whose business in Wailuku offers drop-off classes, open studio times and on-site special events. She says they focus on creative exploration, artistic processes and child-led learning through play, which all equals fun for kids! See some of the activities in our video above. “A lot of times people think about art as fine art, so it’s painting and in galleries, but we don’t think about the basics of art and how we actually learn to get those big names as artists,” Bitzig explains. Meanwhile, kids can also switch out a paintbrush for a racket as part of the club’s tennis program, a popular activity for members and their families. “Kids literally come running down the sidewalk with their tennis rackets at 3:29 in the afternoon, ready to jump out on the court and play,” says Ellison. 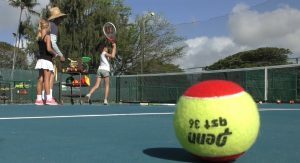 Maui Country Club’s junior tennis program is in full swing! Photo by Kiaora Bohlool. The junior tennis classes are offered Tuesday through Friday, and welcomes kids from ages four through high school. There are three tennis instructors, including one who coached Wimbledon champions. Ellison says the program goes beyond tennis when it comes to teaching kids what matters. So whether “play” is coupled with creativity, energized with activity or linked with learning, you have options at Maui Country Club. And when it’s time to just chill, there’s space for that too!! Learn more about club activities and membership here.